Last night as I was pondering this idea of outsourcing sermons I let my mind wander. Before I knew it, I was asking what it looks like to open source the Gospel. I’m thinking more in lines of making the platform of the Gospel available to everyone to apply to their own contexts. That’s what I understand open source to be relative to software development anyhow (in my limited understanding). I’m pretty sure that a critical part of making that possible is that the Word of God — the Word who created the earth and everything/everyone in it and the Word who became human and moved into the neighborhood, filled with grace and truth and the Word which has been translated into words and whose flesh has become the Church — that Word must be translated to include everyone. That would suggest that the words must be translated into the languages of every people and that what will follow will be the incarnation of Christ as the Church is established among every people. I say “every” for two reasons — the nature of Christ demands inclusion and the Word itself refers to people from every nation, tribe, tongue and people worshipping around the throne in heaven. “Every” is God’s idea, not some political or social agenda. With this understanding of the Gospel, there are two interdependent movements that are essential: Bible translation and church planting. 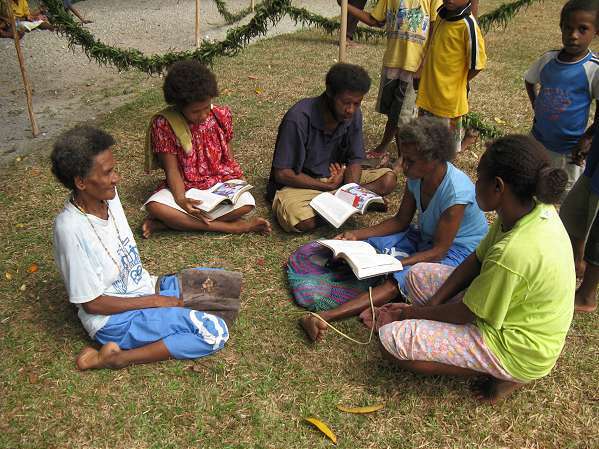 PHOTO: Reading Gapapaiwa New Testament. 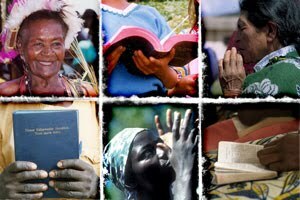 “People enjoying reading New Testaments in their own language for the first time.” Photo by Jonathan Federwitz. I'd like to extend your analogy. With an open source operating system like Linux (I hope I haven't lost you yet), there's the bit at the heart of it which only a few people change, and not very often and which needs to be reliable and predictable. Then there's all the stuff that loads of people put on top of that. In the case of our faith the kernel (the gospel) is finished, complete, not going to change. But everyone needs to build on top of that.